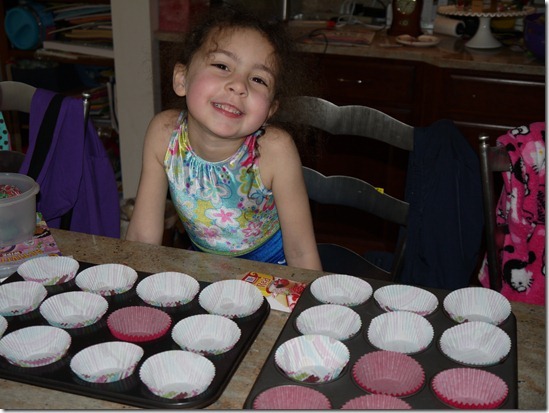 Do I love to bake? Why, yes I do. Do I love crafts? Yep. But I rarely have time to really enjoy doing either. When I was asked to make cupcake party party favors for my sister-in-law’s shower, I embraced it as an excuse to spend time engaging in two of my favorite hobbies. 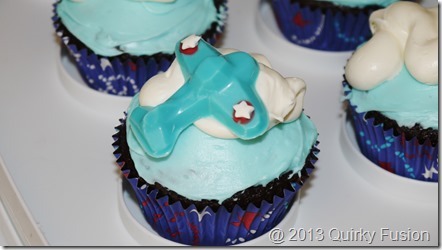 The theme, in case it’s not obvious, is airplanes. The cakes are chocolate mint. These are pretty easy. 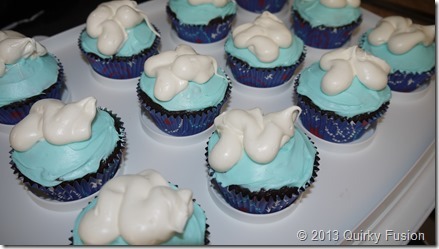 I frosted the cupcakes in a thin layer of blue frosting for the “sky.” If you do these, go light on this layer. The “clouds” add a lot frosting and they can end up overly sweet. Here’s a secret. I cheated on these. I’ll share more about it in a post on another day, but I am often baking for people who can’t eat dairy. 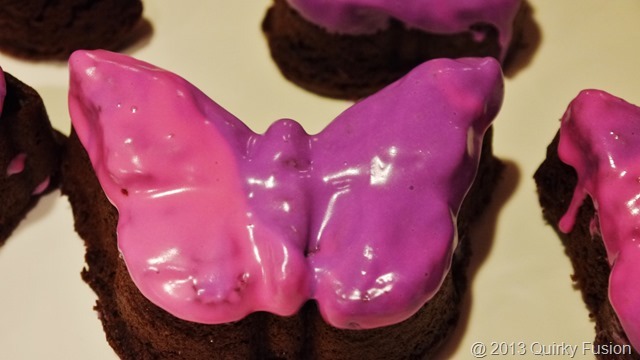 It’s much easier to use a box mix and canned frosting than to find a dairy-free recipe I’m happy with. That’s not to say they aren’t out there, because they are, but my favorites all have butter, milk, sour cream, yogurt and/or buttermilk. The frostings have butter and/or cream cheese. 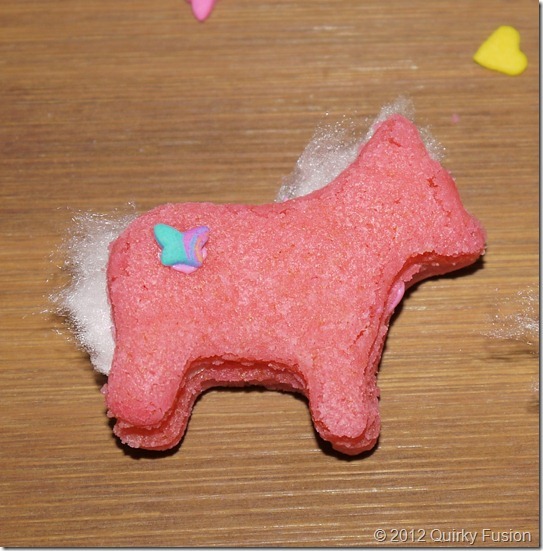 I just tweak the pre-made versions and they’re super yummy. 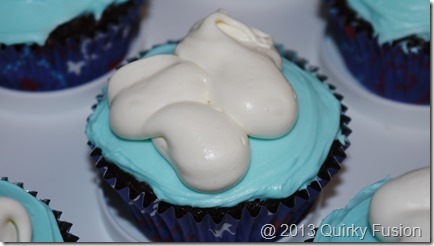 Anyway, the clouds are a whipped vanilla frosting flavored with mint. If you do it this way, make sure you keep these cool. 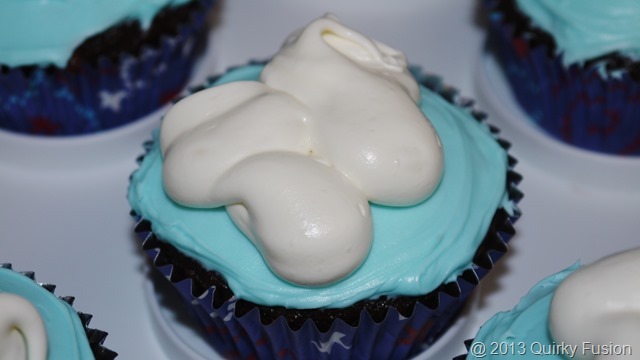 The frosting is already thinned and it melts easily. I didn’t have the tip I wanted, so I used the tip coupler for the clouds. Worked like a charm. This is my first time working with Wilton melts. They aren’t nut-free, so I try to avoid them… but, since Bug wasn’t invited to the shower, I went for the easiest option. The mold is available on Amazon. I printed the small circles with red Wilton melts and a large cake pop stick. Once they hardened, I poured in the blue candy. I used star sprinkles (just pulled out the white ones) for the decorations. 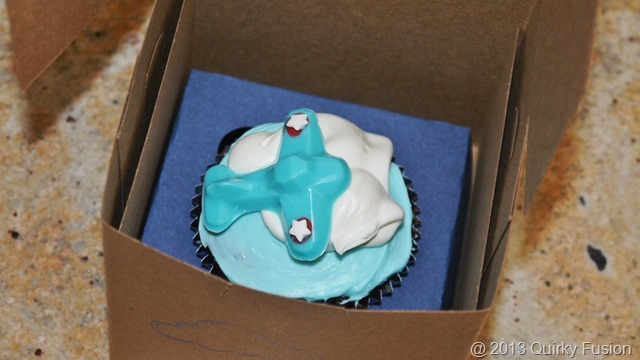 This is what the cupcakes look in the boxes. I purchased the Kraft boxes online. They were about $25 (not including shipping) for 250 boxes. I love them and I think they’ll be great for gifts and projects. I used my Cricut and the Sweet Tooth cartridge to make the inserts. If you’re wondering, I used the 6” setting to fit in the 4” square boxes. 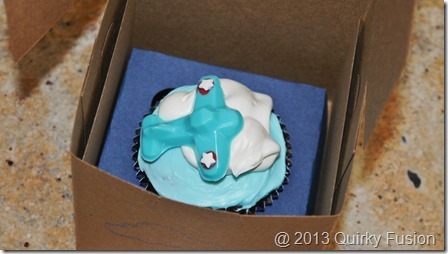 The inserts were a bit on the small side for the box, but they held the cupcakes perfectly. Unfortunately, only two inserts fit on one 12 X 12” sheet of paper and the Cricut won’t print them both automatically. FYI, LadyBug dropped her box and it got just a tiny bit of frosting messed up. They held up well to the trauma! Here are the final boxes. I love them. 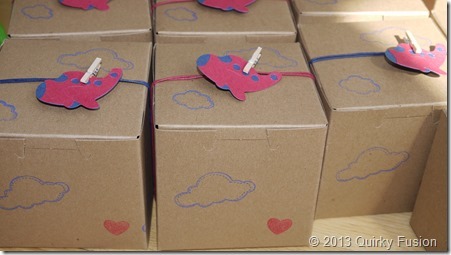 I stamped the boxes (before folding them, of course) with the cloud stamps and one little red heart. The airplane is from the Wild Cards 2 Cricut cartridge. I then wrapped the boxes twice with a coordinated hemp twine and pinned the plane on with a mini clothes pin. As far as favors go, these are a bit time intensive. You can’t really make the cupcakes far in advance, so there’s a lot of baking/frosting/wrapping/pinning all at the last minute. This is better suited to a small shower or party. I had to make 35, which was fine, but I wouldn’t want to make a lot more of them! They really look great. Thanks for sharing all the details and how-to! Thanks, Carrie. I have to admit that my creativity and enthusiasm sometimes outpace my artistic skill set. =} I was glad they came out just as I imagined them in my mind!